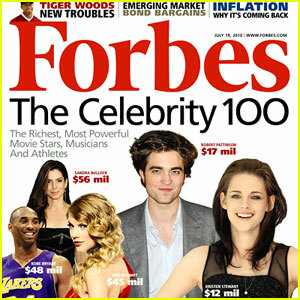 Forbes The Celebrity 100, released every year in June, is also dubbed as The World's Most Powerful Celebrities. This year, Oprah Winfrey is the No. 1 Most Powerful Celebrity, taking back the No. 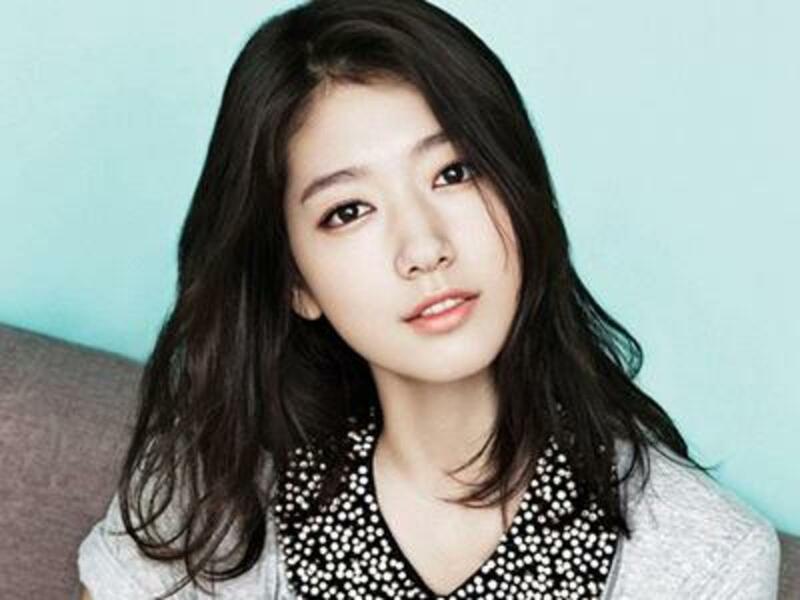 1 rank from Angelina Jolie who dropped down to 18th place this year. This is not surprising, of course - the surprising part was Angelina Jolie ranking No.1 most powerful celebrity last year or at all (shocking really). Beyoncé came in as No. 2, James Cameron as No. 3. and new-comer Lady Gaga leaped into fourth place to the amazement of all, other than her fans, of course. The Celebrity 100 is a measure of power based on money and fame. Earnings estimates include income from films, television shows, endorsements, books and other entertainment ventures and are calculated between June 2009 and June 2010. Additional sources include Billboard, Pollstar, Adams Media Research, The Nielsen Company and SNL Kagan. Fame is calculated using Web hits on Google Blog Search, TV/radio mentions on LexisNexis, overall press mentions on Factiva and the number of times a celebrity's image appeared on the cover of 25 consumer magazines. Social rank is calculated using metrics like Facebook friends and fans as well as Twitter followers. 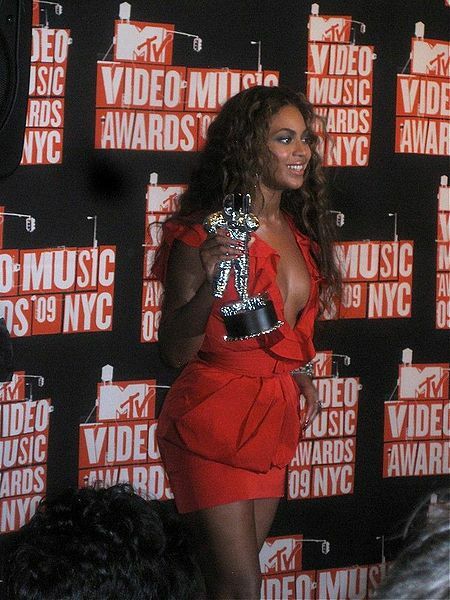 Beyonc in 2007 - photo from wikimedia commons. Beyoncé Knowles ranks No. 2 in Forbes Celebrity 100 this year. This makes Beyoncé the No. 1 Most Powerful Female Singer of the year. Beyoncé climbs two spots to No. 2 on this year's Forbes list, raking in $87 million over the course of the year. Her 93-stop world tour grossed more than $85 million, bolstering a portfolio that includes album sales, her growing House of Dereon fashion line and a slew of endorsement deals, ranging from Nintendo to L'Oreal. Continuing to expand her business empire beyond music, the female half of hip-hop's most powerful couple (other half is husband Jay-Z) also released her first fragrance, Heat, earlier this year. Born and raised in Houston, Texas on September 4, 1981, Beyoncé Giselle Knowles, often known simply as Beyoncé, began performing at age seven, winning upwards of 30 local competitions for her dancing and vocal abilities. One of the most recognizable characters in modern-day R&B, Beyoncé first rose to fame as the siren-voiced centerpiece of Destiny's Child before embarking on a multi-platinum solo career in 2001. One of Beyoncé's multitude of accomplishment is becoming the first African-American female artist and second woman ever to win the annual ASCAP (American Society of Composers, Authors, and Publishers) Pop Songwriter of the Year Award. Surprise, surprise! Lady Gaga catapults onto No. 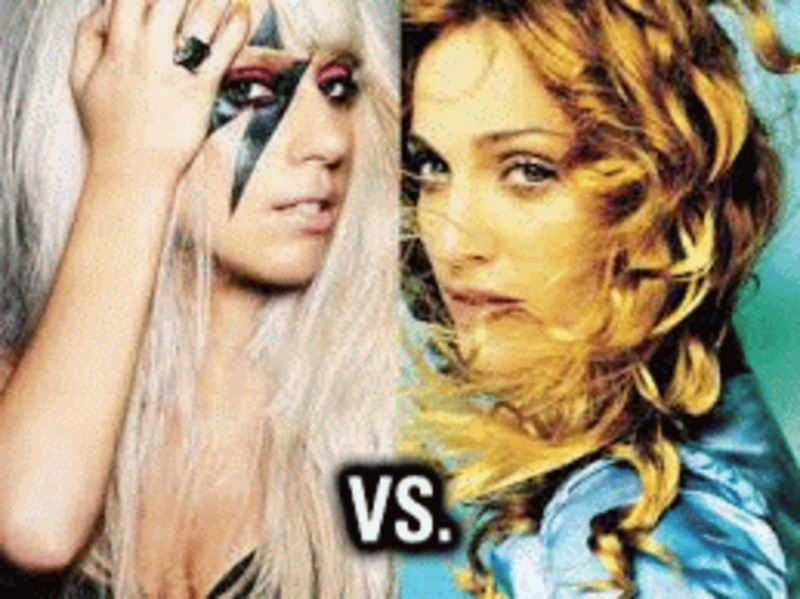 4 of Forbes Celebrity 100, ranking ahead of much more established pop stars like Madonna (No. 10) and U2 (No. 7). Her 106-date world tour and her willingness to partner with corporations like Virgin Mobile and Polaroid led her to this amazing leap to power earning her an estimated $62 million this year. What's more, her fame and theatricality have brought her gobs of press coverage, while her music videos have made her something of an Internet sensation. The proof as they say is in the pudding, or in this case in the fashion-forward rocker ranks first for social media and Web presence among the Forbes Celebrity 100. Born as Stefani Joanne Angelina Germanotta on March 28, 1986 is better known by her stage name Lady Gaga. The Global Language Monitor named "Lady Gaga" as the Top Fashion Buzzword with her trademark "no pants" coming in at No. 3. Entertainment Weekly put her outfits on its end of the decade "best-of" list, saying, "Whether it's a dress made of Muppets or strategically placed bubbles, Gaga's over-the-top outrageous ensembles brought performance art into the mainstream. Well, she's Lady Gaga, that's for sure, and her fans just adore her as she wore a dress to the 2010 MTV Video Music Awards, which was supplemented by boots, a purse and a hat, each fabricated from the flesh of a dead animal. Only a lady named Gaga could definitely get away with that! Also amazing is the fact that Gaga is also the list's top-ranked newcomer, leading a group that includes the Black Eyed Peas (No. 16 at $48 million), Conan O'Brien (No. 51 at $38 million) and Twilight costars Pattinson (No. 50 at $17 million) and Stewart (No.66 at $12 million). Not long ago, you and I and most of the entertainment world had written Britney Spears off as a celebrity gonner. But over the last year Britney Spears logged the fifth highest-grossing tour in the world playing 98 dates, bringing in $130 million in gross box office receipts, earning her $64 million this year. It also helped that she got high-profile endorsement deals with Elizabeth Arden and Candies' proving that the former Mouseketeer is expected to stay in the spotlight for a long time, if not for good. In November 2009, Britney Spears released her second greatest hits album, and "3" became her third number one single in the US, and was the first song to debut at the top of the charts in three years. Later that month, she released an application for iPhone and iPod Touch titled "It's Britney!". In addition, Spears designed a limited edition clothing line for Candie's. Born in McComb, Mississippi on December 2, 1981 and raised in Kentwood, Louisiana, Britney Jean Spears began performing as a child, landing acting roles in stage productions and television shows. Her first two albums established her as a pop icon and broke sales records, while title tracks "...Baby One More Time" and "Oops!... I Did It Again" became international number-one hits. Spears was credited in reviving teen pop during the late 1990s. She is listed by the Guinness World Records as having the "Best-selling album by a teenage solo artist" for her debut album ...Baby One More Time which sold over thirteen million copies in the United States. It is said that Spears was also marked for being the best-selling teenage artist. And before she turned 20 in 2001, Spears sold more than 37 million albums worldwide". "Britney Spears" has been Yahoo! 's most popular search term for the last four consecutive years, seven times in total. Spears was named as Most Searched Person in the Guinness World Records book edition 2007 and 2009. Spears has also become a major influence among many new artists, including Kristinia DeBarge, Lady Gaga, Little Boots, Selena Gomez & The Scene, Pixie Lott and Miley Cyrus, who has cited Spears as one of her biggest inspirations and has also referenced Spears in her hit song "Party in the U.S.A.". Clearly, Miss Britney Spears is here to stay. I love Brittney Spears even though the media doesn't. I remember her as a teen and her "proper" everything. I know she change and was that "innocent" Christian Singer in the beginning. I support her either way, because I couldn't do what she does! Hiya the fierceissue, thanks for dropping by. That number was provided by Forbes.. they could be wrong.. or not. Thanks for the input. I foudn this good until I read teh Beyonce bit. Her world tour had 108 stops aroudn the world so if I can pick up on that off the top of my head, it's deterred me from reading the rest of the blog. Hiya kirutaye, thanks for dropping by. Yes me too! I was surprised to see Britney Spears climbed back to be the third most powerful singers in the world, thanks to her 98-dates tour that earned her millions of dollars plus her Elizabeth Arden and Candies' endorsements and her fragrances are doing very well as well. Hiya SweetMarie, thanks for dropping by. Yes me too! I was surprised to see Beyonce jumped to No.2 and Britney Spears still got it. Thanks to all their endorsement and successful ventures. Britney also did a 98-dates world too that earned over a hundred million dollars. And as you say, Lady Gaga is everywhere.. but to get to No.4 most powerful celebrity in the world, is still pretty amazing. Humph! Forbes didn't even bother to call me.....again!!! Great hub, Rosie! I hadn't seen the list yet, and I have to say I find it kind of surprising, personally. I've hardly seen Beyoncé at all this past year, and I honestly didn't know Britney had made yet another comeback! lol I have seen Lady Gaga of course, but who hasn't, she's everywhere! Very interesting read!